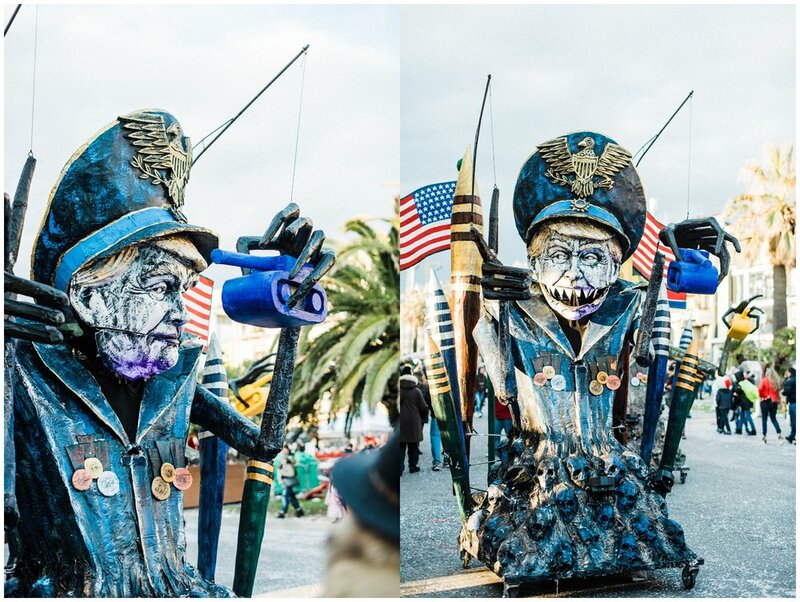 Being in Italy for Carnival is already an experience.... but Viareggio... a serious expert-level-10 celebration. Bananas. And even though I read a bit before I went, it was so much more than I could have anticipated. 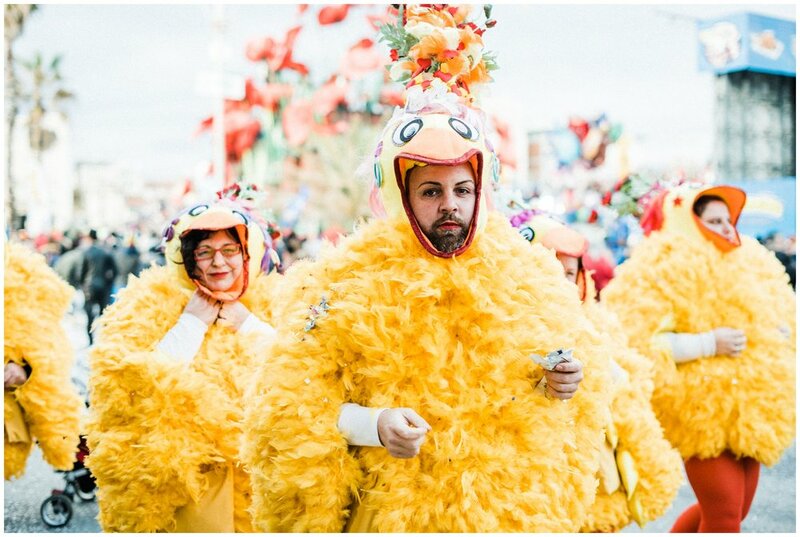 Riding the train from Florence to Viareggio on a late Sunday morning in February, and you're surrounded by people heading to the little coastal town for their famous carnival (Carnevale), said to be the best in all of Italy. Most people on the train are dressed in 'normal' clothes, with a few exceptions, but this train ride was certainly not an indication of what was waiting for us. Pulling up to the station and you've got breathtaking views of the snow-capped Apuan Alps, and then, between the buildings, glimpses of people in (rather incredible) costumes heading down to the coast for the party. The closer you get, the more interesting your day becomes. My first photos near the parade were of this wonderful Italian grandmother cheering on her grandson as he threw confetti into the air, and then quickly try to brush it all off.... just to grab another handful and do it again. Plus, she had espresso in a small ceramic cup, on a sidewalk, in the middle of the madness. She's my people. Oh, and, yes- there were so. many. Trumps. I've included only a few, as there could easily be an entire post on just those floats alone. I will link to a comprehensive float list and description once I find one. This is still happening through the end of February, so if you're in Italy, I implore you to go experience this.